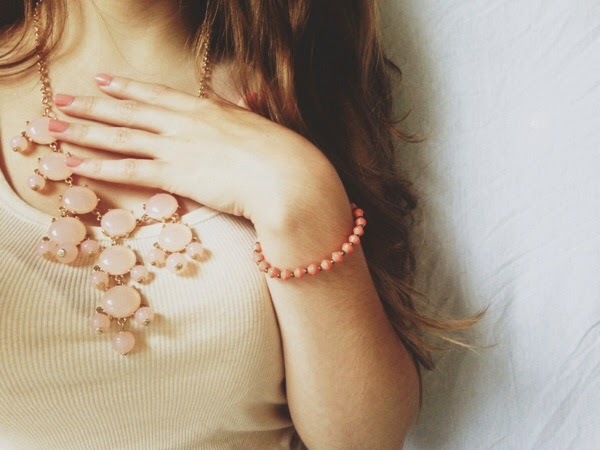 Lately, I have been obsessed with peach colored things. They give off such a fresh, Summery vibe, and they are a subtle color, not too pink, not too orange, peach. 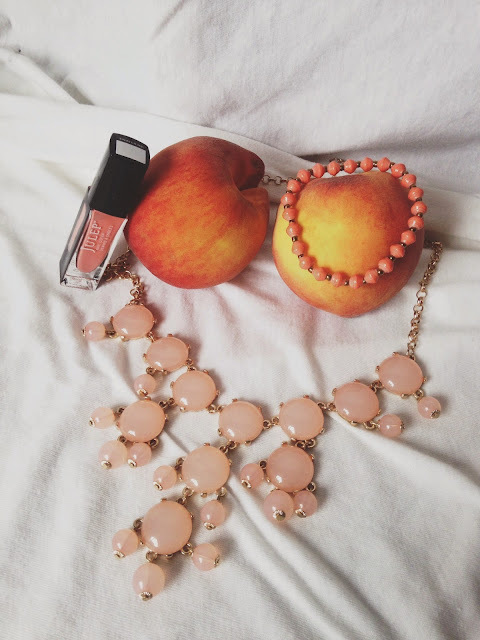 The color peach is a cute color, and goes with almost everything! I received a Maven box from Julep yesterday, and I received a lot of fun goodies from Julep Maven, which I will talk about later in a different post. In the box was included a beautiful, peach colored nail polish. I love Julep's nail polishes because they are unlike the nail polishes that you grab up from the drugstore. Julep nail polishes add antioxidants to your nails and they let your nails breathe. 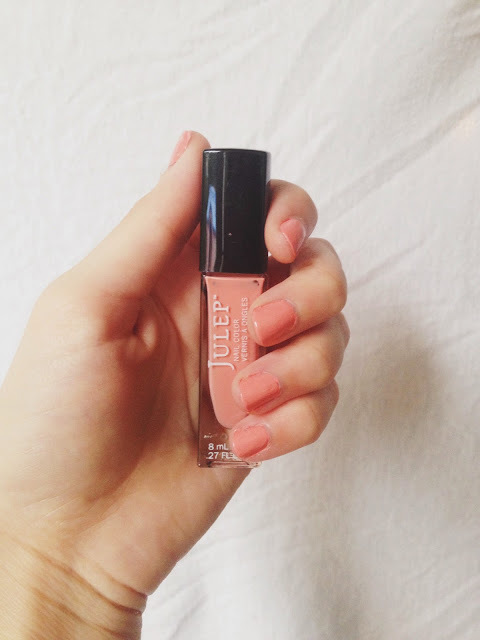 Julep offers high quality nail polishes and beauty products, I am a big fan of Julep! The color that I am wearing is called Teri, this color is from Julep's It Girl collection. 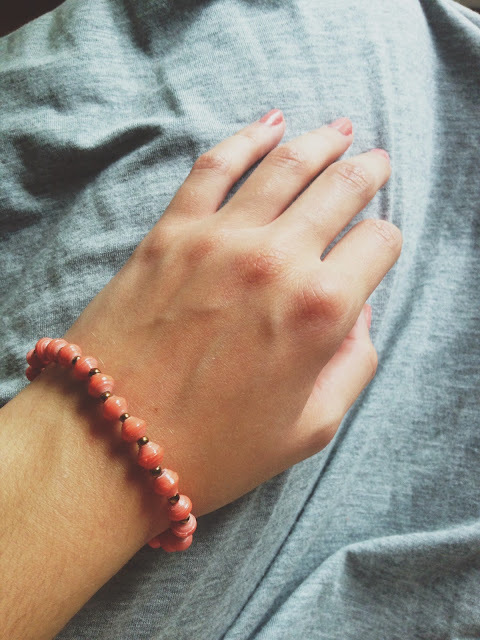 My favorite piece of jewelry right now is my bracelet from 31Bits. I am in love with this company, their products, and their values. 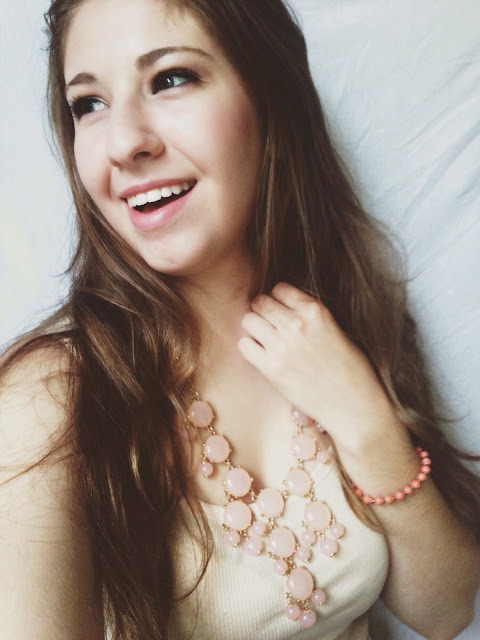 The jewelry from 31Bits are all handmade from recycled paper in Uganda. The money from the purchases of the jewelry goes back to the people of Uganda. Buy a pretty, handmade piece of jewelry and change lives. I love buying products from a charitable place. Whenever I look at the product, I am always reminded of the good it has provided. 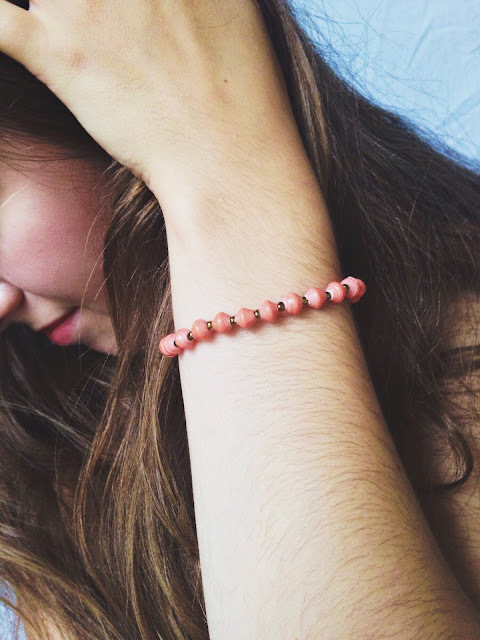 This Daphne bracelet from 31 Bits is so beautiful. I can't stop touching it, or looking at it. It is such a beautiful piece. 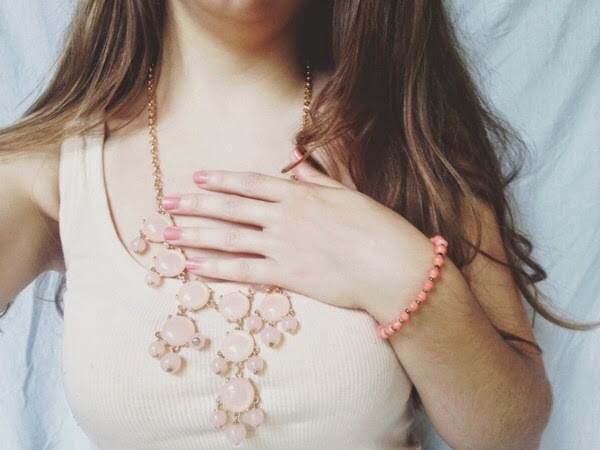 This next peachy piece is a beautiful statement necklace from Wu Jewelry on Etsy. I was browsing through the jewelry section on Etsy, in need of a statement necklace. I found one! I fell in love with the design and of course the color. I am excited to style this beautiful necklace with a simple dress. How can you not love this beautiful peach color! To me, peach is the color of August. The sunset of Summer. 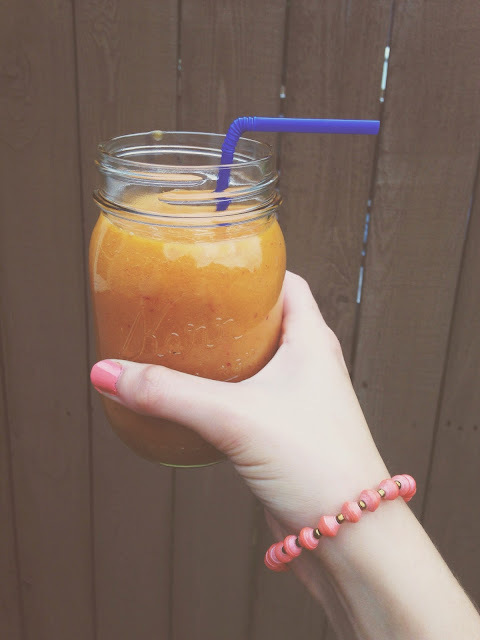 To top off the day, I blended up those peaches up top into a scrmptious, straight peach smoothie. I wanted to show off my peachy things. This would be a fun series to do! Showing favorite items from each color. I might just do that! Yes! I would be happy to do a follow swap.